Find God in your everyday life. This is St. Josemaría Escrivá’s teaching. 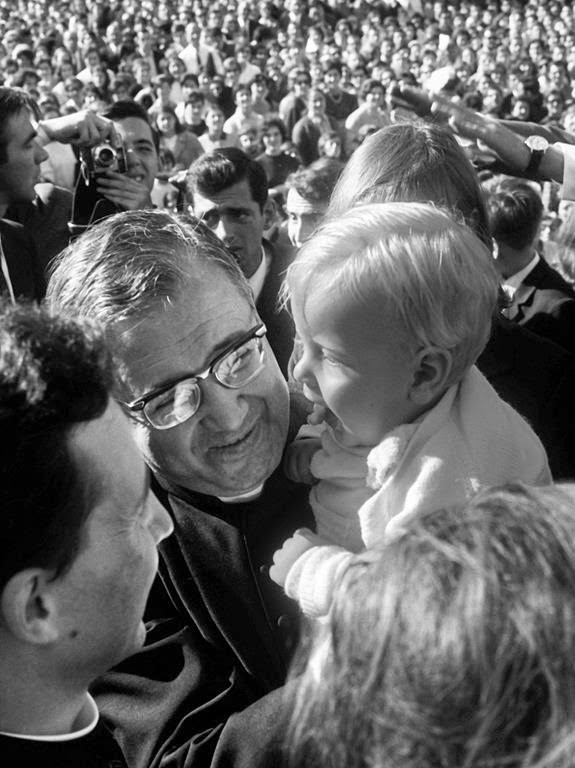 Called a saint of ordinary life, St. Josemaría spent most of his years telling people of all races and all social backgrounds that it is in their daily life that they can seek and find God. One does not have to wait for extraordinary events in order to experience the nearness of God. St. Josemaría’s life was an example of how, by doing one’s ordinary work extraordinarily well, one can please God and be holy. “Extraordinarily well” means doing one's tasks and occupations in the best possible way and with the intention of serving others and serving God. As early as the 1940’s, St Josemaría was already sharing with the first female members of Opus Dei his dream of opening greater opportunities for women through education and training, especially for those who have less financial resources. Anihan stands today as one of the many schools around the world that have been inspired by St. Josemaría’s vision. Click here to see the schedule of all the Masses in the Philippines and in the rest of the world.